North Korea‘s acting ambassador to Italy, Jo Song Gil, went into hiding with his wife in November, South Korea’s spy agency told lawmakers in Seoul on Thursday. A high-profile defection by one of North Korea‘s elite would be a huge embarrassment for leader Kim Jong Un as he pursues diplomacy with Seoul and Washington and seeks to portray himself as a player in international geopolitics. South Korean lawmaker Kim Min-ki said an official from Seoul’s National Intelligence Service shared the information during a closed-door briefing. Kim did not say whether the spy agency revealed any information about Jo‘s current whereabouts or whether the diplomat had plans to defect to South Korea. Kim said the NIS said it has not been contacted by Jo. Kim said the NIS official said that Jo and his wife left the official residence in early November, weeks before his term was to end in late November. Kim said he couldn’t confirm whether the NIS official revealed whether Jo and his wife were accompanied by any children. The NIS earlier said it couldn‘t confirm a South Korean media report that Jo was under the protection of the Italian government as he seeks asylum in a Western nation. North Korea has not yet commented on Jo’s status. 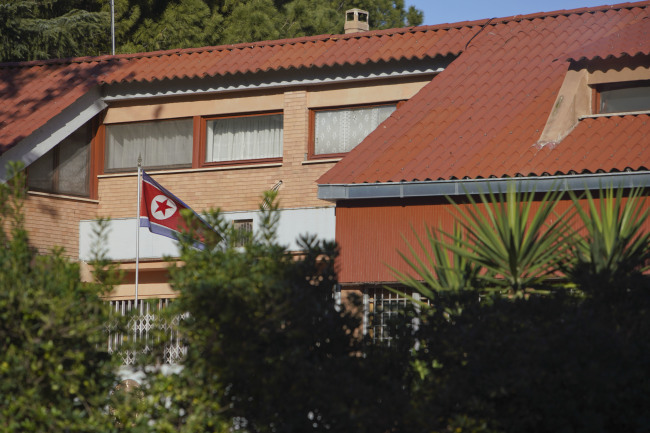 An official with the Italian Foreign Ministry said the North Korean hadn‘t requested asylum from Italy. The official, who spoke on condition of anonymity in line with standard practice, said Jo no longer held diplomatic status in Italy. That presumably refers to his government’s ending his diplomatic assignment to Italy and his being recalled. North Korea, which touts itself in its propaganda as a socialist paradise, is extremely sensitive about defections, especially among its elite diplomatic corps, and has previously insisted that they are South Korean or US plots to undermine its government. North Korea may publicly ignore Jo‘s possible defection or hold back harsh criticism to avoid highlighting the vulnerability of its government as it pursues diplomacy with Washington and Seoul, said Koh Yu-hwan, a North Korea expert at Seoul’s Dongguk University. In an interview with South Korean television, Thae said he worked with Jo for more than a decade in the North Korean Foreign Ministry‘s Europe bureau and that Jo had a child when Thae last saw him in 2013. Thae said Jo comes from a family of diplomats, with his father and father-in-law both serving as ambassadors. 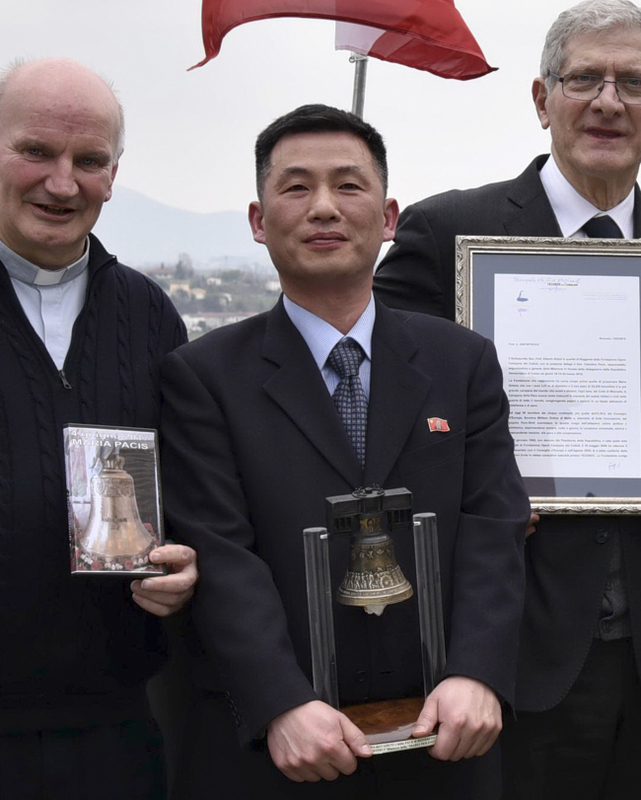 Thae said the Italian embassy is critical for North Korea because it handles annual negotiations with the Rome-based World Food Program over food aid to the North. Thae also said Italy has been a hub for smuggling luxury items to the North Korean elite and Jo would have been involved in those activities. Thae said Jo would have been North Korea’s main diplomat for the Vatican and would have handled discussions involving a possible visit to the North by Pope Francis if such talks had taken place. South Korea said in October that North Korean leader Kim said during a summit with South Korean President Moon Jae-in that he would welcome a papal visit. Thae said he believes Jo was to be replaced by incoming ambassador Kim Chon in late November, but did not reveal how he obtained such information. While not identifying him by name, North Korea‘s state media described Thae as "uman scum" after his defection to the South and claimed he was trying to escape punishment for serious crimes. Thae, who has been an outspoken critic of Kim Jong Un while living in South Korea, denied the accusation and said he defected because he didn’t want his children to live "miserable" lives in the North. It‘s possible that Jo is trying to defect because of similar reasons, said Koh, who is a policy adviser for South Korean President Moon Jae-in. "It could be difficult for some diplomats to accept being called back to the North after enjoying years living in the free West. They could want their children to live in a different system and receive better education." The highest-level North Korean to seek asylum in South Korea is Hwang Jang-yop, a senior ruling Workers' Party official who once tutored Kim Jong Un‘s late father, dictator Kim Jong Il. Hwang’s 1997 defection was hailed by many South Koreans as an intelligence bonanza. Hwang died in 2010. Not much is publicly known about Jo, who had been North Korea‘s acting ambassador to Rome after Italy expelled then-Ambassador Mun Jong Nam in October 2017 to protest a North Korean nuclear test and long-range missile launch. Kim, the lawmaker who listened to the spy agency’s briefing, said the NIS official said the agency has yet to figure out many details about Jo.